Apple iPhone 5s complete screw set with two Black base screws. If you have worked on your iPhone 5s you know how easy it is to loose these small screws. 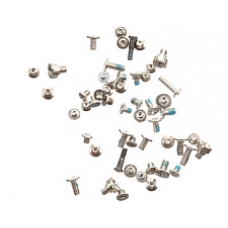 We can offer you the ability to replace any missing iPhone screws with this complete set. * Original Apple iPhone 5s Screw Kit. * Two Black Base Screws Included.